The top turtle position is a dominant position in MMA. Once you have secured the turtle position, you can land powerful strikes and attack for submissions. In this video, ONE Lightweight World Champion Shinya Aoki teaches an arm bar from the turtle position. From the top mount position, you can work to finish a fight via TKO or submission. Depending upon how your opponent defends on bottom, you can transition among a wide range of attacks. In this video, ONE Lightweight World Champion Shinya Aoki teaches the arm triangle choke. When your opponent makes a bad takedown attempt, it is an excellent time for you to attack for submissions. Failed takedowns often leave the opponent’s neck open for chokes. In this video, ONE Championship Lightweight World Champion Shinya Aoki teaches the standing palm to palm choke. The top turtle position is a dominant position in MMA. Once you have secured the turtle position, you can land powerful strikes and attack for submissions. In this video, UFC Lightweight World Champion Rafael dos Anjos teaches a back attack from the turtle position. From the bottom half guard position, the objective is to work for a sweep and escape from underneath your opponent. 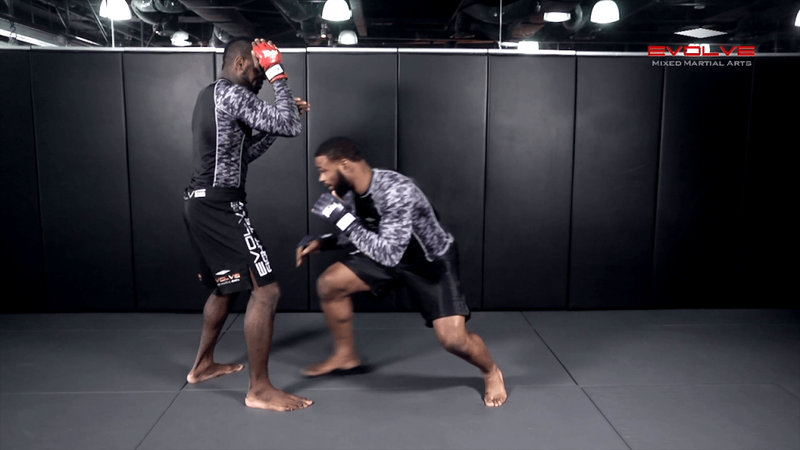 In this video, UFC Lightweight World Champion teaches a half guard sweep for MMA. From the bottom half guard position, the objective is to work for a sweep and escape from underneath your opponent. In this video, UFC Lightweight World Champion teaches a transition from bottom half guard to back control. The Superman punch is one of the most spectacular punches in MMA. It can be used in combination with other techniques to score highlight reel KO’s. In this video, UFC Lightweight World Champion Rafael dos Anjos teaches a Superman punch and flying knee combination. The full mount is one of the most dominant positions in MMA. In order to finish the fight from the full mount position, you must be able transition between submission attacks. In this video, UFC Lightweight World Champion Rafael dos Anjos teaches a transition from Americana to arm bar. Top ranked UFC Flyweight Joseph Benavidez shows one of his favourite striking combinations for MMA. Wrestling is one of the primary disciplines in MMA. A well rounded MMA fighter should be able to wrestle offensively and defensively. Solid defense against wrestling takedowns is a critical skill for every fighter. 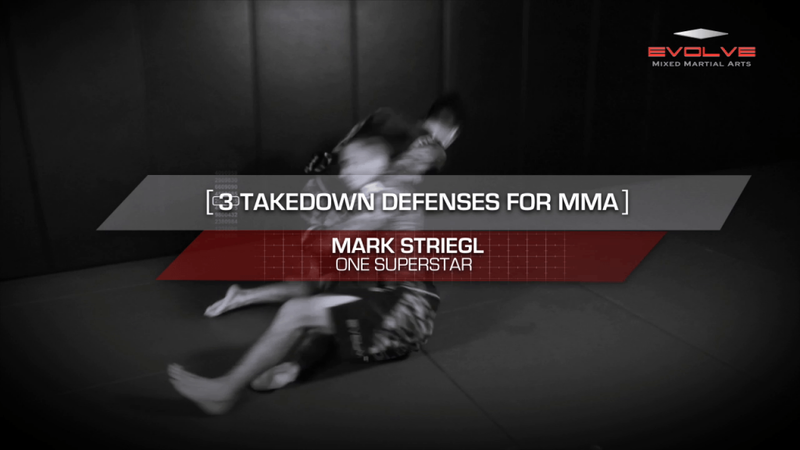 In this video, ONE superstar Mark Striegl teaches 3 of his favourite takedown defenses. Once you have secured the top position, you can begin working your ground and pound. In MMA, you can do a lot of damage inside an opponent’s guard by utilising ground and pound techniques. 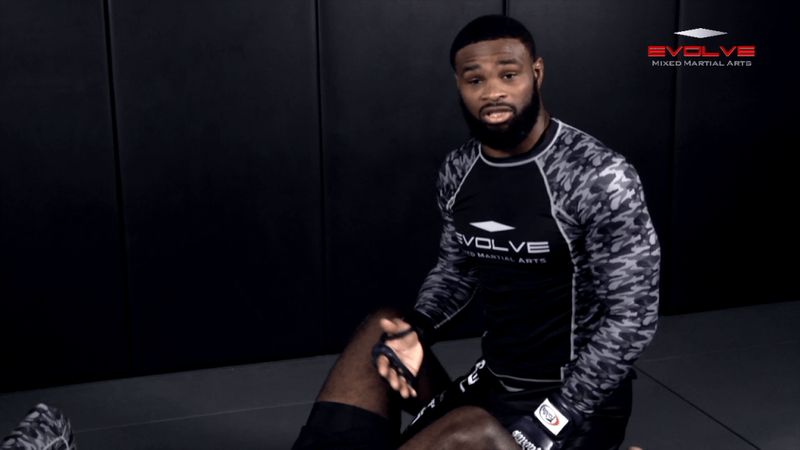 In this video, UFC top contender Tyron Woodley teaches ground and pound techniques from full guard. The arm bar is one of the most common submissions in MMA. There are a wide range of setups and positions from which you can attack for the arm bar. In this video, BJJ World Champion Leandro Ataides teaches the arm bar from the turtle position.